Thanks to some local knowledge on his home track, Twenty-three year old Lucas Bodgan of Abbotsford, BC took home his first ever Professional Win, firing off 6 birdies en route to an impressive round of 64 under frigid, windy conditions! Bogdan’s win came with a $500 cheque and some added confidence heading into his first full year on the 2012 VGT summer schedule as a Professional. Can Tour veteran Matt Daniel finished solo 2nd with an equally solid round of 66, one shot ahead of Canadian National Team member Adam Svensson, and local Abbotsford Pros Brett Webster and Josh Taylor. Svensson took home Low Amateur honors while the Flight A Amateur Title was won by Sang Hee Park and Flight B’s Title was won by Robert Parihar. After a rain wash-out last Tuesday, VGT hosted its 9th Winter Tour event at Kings Links by the Sea this Tuesday under fierce 50-60 km/hr winds all day. A low ball flight free of spin and the ability to grind it out in tough British Open like conditions was going to be the key to success. After winning VGT’s last event, Coquitlam’s Matt Makinson’s was out to show it was not by accident as he tied for Low score of the day of 72 (E) with Player’s Academy Teaching Pro Andy Johnson. Makinson ripped up the front nine in 33 (-3) and held it -4 until a double-bogey on 15 and bogeys on 16 and 18 (arguably the toughest 4 finishing holes in BC). It was not a surprise to see Johnson up on the leader board as the 33 year old Australian has had more than his share of tournaments coming from the windy city of Adelaide! Hazelmere’s Phillip Jonas, who had just recently been notified of a special exemption for the 2012 British Senior Open (from a win on the S. African Tour in 1991) finished 3rd and chased his way up the Winter Tour order of merit, now only 12 points behind Chilliwack’s Jared Rempel and just less than 100 points off the leader Brett Webster. 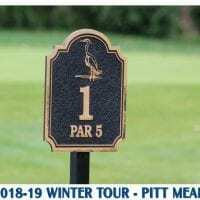 Home course showed its favourites in the Amateur side of the event as Kings Links member Steve Savage tied for 1st with Pitt Meadow’s member Connor O’Dell. Both fired decent scores of 76 on the day, edging their next competitors by 4 shots. Flight A’s Order of Merit leader Masa Takahashi did it again, tying for 1st overall in his flight with relative new comer Simon Eisler. Both shot gross scores of 82 (net 77). This trend carried over into the Flight B as Order of Merit leader Brian Baker continued his steady play tying for 1st in the event with another Kings Links member Scott McGillivray who took in his first VGT event. The trend of winning by Kings Links members continued as Phil Trickett won one of the two only skins out on course in the Gross skins game, taking home $240 for his birdie on hole #15. Phil Jonas was the only other skin in the Gross game with a birdie on #11. After 6 months off with an injury in 2011, Coquitlam’s Matt Makinson showed he’s back on form firing a round of 3-under par 67 at Belmont Golf Club in Langley at VGT’s latest Winter Tour event at Belmont. 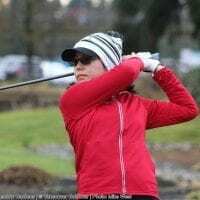 Makinson’s 5 birdies and 2 bogeys gave him a one shot victory over Pros, Oliver Tubb of the Players’ Academy of North Vancouver, Can Tour’s Clark MacPherson and Dean Walters of Nevada Bobs Golf. Order of Merit Leaders Jared Rempel (73) and Brett Webster (72) finished just outside the money, but managed to keep their hold on 1st and 2nd on the Winter Tour Order of Merit heading into VGT’s 2nd last Winter Tour event next Tuesday at Kings Links. Hazelmere’s Phil Jonas finished 5th on the day shooting 69 and crept himself a bit closer to the leaders heading into next week’s event which already has 50 players registered! 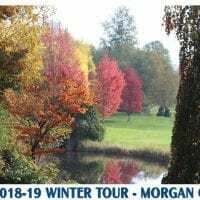 VGT’s Winter Tour Championship will be held on Monday, March 13th at Ledgeview Golf & Country Club where there will be some bonus prizes and prize money for the top 3 Pros and Amateurs in each flight on the Order of Merit as well as for low scores on the day! In Championship Amateur golf, A newcomer to the VGT this year is 12-year old Jaewook Lee from Langley, BC. 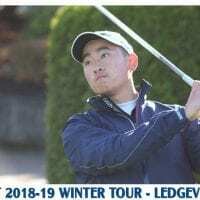 And after only 3 events on the winter tour, he showed he has got some amazing game, firing a round of 72 and tying for 1st Place overall in the Amateur Division with Burnaby’s Ethan Min. Seymour Golf Club’s Matt Steger continued his steady play firing a round of 73 and holding his lead in the Championship Amateur Order of Merit. Min holds down 2nd place only 130 points behind. In Flight A action, Meadow Gardens’ Masa Takahashi carded an amazing round of 72 (net 66) to win his flight over Ledgeview’s Dale Holtz (net 71). Takahashi moved himself into a 3rd place position heading into Kings Links, but still nearly 1,000 points behind Flight A’s leader Kevin Griffin! In Flight B, Carnoustie’s Robert Parihar claimed the victory with a net score of 68, 3 shots better than 2nd place Alex Duran, moving himself 500 points closer to Flight B Order of Merit leader Brian Baker (2,450 pts) who was absent at this event! 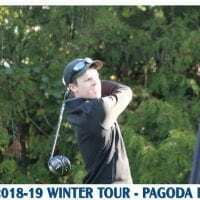 Far from the typical tour conditions he’s used in Australia, 28-year old Ozzy Professional Andy Johnson somehow found a way to battle the elements this Tuesday to capture his first Marketplace IGA Vancouver Golf Tour event at Mayfair Lakes. With torrential wind and rain making playing conditions extremely difficult for all 39 players, Johnson (A.J.) persevered with a bogey free round of 70 (-1), earning him a one shot victory over Abbotsford’s Josh Taylor. Johnson collected $300 for his victory and vaulted himself into 4th place on the Winter Tour Order of Merit, close behind leaders Brett Webster (1st), Jared Rempel (2nd) and Phil Jonas (3rd) who was over in Portugal for European Senior Tour Qualifying. In the Amateur Division, Northview’s Bryan Bessant won his first VGT Amateur title with a solid score of 74 and a 3-shot victory over Jeff Sheldon. Bessant snuck his way into a 3rd place position in the Championship Amateur Order of Merit behind leader Matt Steger and Jesse Ostrosky (2nd place). Low Net score of 74 in Flight A and B was turned in by Brian Baker, 5 shots better than his next competitor Peter Jones. Baker holds a significant lead in the Flight B Order of Merit over Mission’s Dave Ebner while Kevin Griffin’s steady play has him a top Flight A with a 700 point lead over Sang Hee Park heading into next week’s event. The VGT Winter Tour’s fifth event of 2011 was hosted at Point Roberts Golf Club this Tuesday under cool but clear skies. At the end of 18 holes, thanks to a late birdie on #17, it was Hazelmere Teaching Professional Phil Jonas who came out on top, making it his 2nd win in as many VGT events. Jonas carded a solid round of 72 in blustery conditions on the point, one shot better than Professionals Nick Taylor and Andrew Smeeth. Seventeen year old King’s Links Junior Adam Svensson took victory in the Championship Amateur Division for the 2nd VGT event in a row, knocking off 17 other Amateurs in the field with his score of 74, one shot better than Amateurs Matt Steger and Phil Trickett. Flight A was won by amateur Sang Hee Park with a Gross score of 85 (net 74). 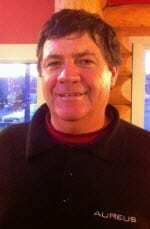 Flight B was won by Brian Baker with a personal best gross score of 76 and net score of 64. Awesome stuff! At the end of 2011 the Winter Tour Order of Merits in each flight are all very tight heading into the 2012 portion of the schedule. At the end of our 9th Winter Tour event the top 24 Pros and top 24 Amateurs (8 in each flight) will be invited to play in the Winter Tour Championship on March 13th where bonus prize money and prizing will be offered!! Special thanks to the Point Roberts Golf Club and all of our host golf courses on the Winter Tour this year for hosting our events and giving our local golfers a place to play and enhance their games throughout the year! With some excellent weather, 47 VGT golfers were treated to some stellar golf conditions at Hazelmere last Thursday as VGT hosted it’s 4th Winter Tour of the ’11 season. And for the second straight week Hazelmere’s Phil Jonas played his way into the top of the leader board. Last week at Swan-E-Set Resort, Jonas came within a shot of a tie for low score with Adam Cornelson and Jared Rempel. This week the 50 year old tour veteran took home the title with a great round of 66 (-6) on his home track to win by one shot over winter tour OOM leader Jared Rempel. As small a milestone as it was, Jonas’ win this week kept his 24 year active streak alive of winning at least one Professional event in Canada since moving from South Africa and turning Pro in the late 80’s. Sharing honors for the Overall low score in this event was 17 year old Kings Links junior Adam Svensson which also earned him Low Amateur honors with his score of 66. Svensson lapped the Amateur field by 7 shots over fellow Kings Links regular Bryan Bessant. Svensson will continue to prove his golf prowess down in Vegas this fall as he has been signed on to a full scholarship with the UNLV Running Rebels. But not before completing his final year in junior golf next summer where he will look to dominate the provincial, national and world Junior circuit!! The Flight A Division Title went to Raj Singh with a net score of 68 and Flight B was won by summer OOM winner Robert Parihar also with a net score of 68. To see who is leading the Winter Tour OOM in each division. Thirty-four VGT golfers weathered the cool temperatures this week and took on a challenging Swan-e-set layout for VGT’s 3rd Winter Tour event of 2011. At the end of the day, two Professionals sat atop the leader board including Can Tour Rookie Adam Cornelson and Chilliwack GC Professional Jared Rempel. Both players carded rounds of 71 (-1) for a one shot victory over Hazelmere Teaching Professional Phil Jonas. Cornelson and Rempel both picked up cheques for $275 while Jonas took home $200 for his 3rd place finish. On the Amateur side of the event Seymour Golf & Country Club member Matthew Steger claimed the Championship Amateur title with a score of 73 (+1) and won himself a $100 gift card to the Swan-e-set Pro-shop. Flight A and B winners were and Sang Hee Park (Flight A) and Brian Baker (Flight B), each picking up GC’s to Swan-e-set for $75 and $50 respectively. The Swan-e-set golf course was in great shape for the end of November, so thank-you Kevin and all your hard working crew who pride themselves in putting their golf course in spectacular shape every time we come to play. Final thanks to our hosts Troy Peverley, Tim Fuchihara and Helen Jung for all you do in providing another Championship Golf Course for our players to sharpen their skills! Thirty-five year old Canadian Tour Veteran Matt Daniel fired a stellar round of 64 at VGT’s 2nd Winter Tour Event at Mayfair Lakes yesterday to secure a 5-shot victory over Can Tour rookie Adam Cornelson and Mayfair Lakes’ Teaching Pro Shingo Akizuki. Daniel rolled off 6 birdies and an eagle en route to his win, continuing his fine form from last week, as he had just returned from Palm Desert, where he had his top finish of the year on the Can Tour, finishing in 8th place. Cornelson also played his way into a t31st spot down in the Desert, which more importantly moved him from 91st to 88th on the Canadian Tour money list and secured his Can Tour card for 2012. In the Championship Amateur Flight, Sunshine Coast’s Jesse Ostrowsky shot a 2nd consecutive 74 to win back-to-back Amateur Titles on the Winter Tour. Ostrowsky won by a single shot over 3 players – Ethan Min, Bryan Bessant and Matt Hadfield and took home a $100 gift card to Mayfair Lakes Golf Shop. Our Flight A Champion on the day was Raj Singh who carded an amazing Net Score of 64. And for the second straight week, our Flight B Division was won by Dave Ebner of Johnston Meier Insurance with a net score of 71. Both Singh and Ebner took home $75 gift cards to Mayfair Lakes Golf Shop. A total of forty-seven golfers tee-d it up on a glorious day at Mayfair Lakes for our second event of the winter Tour. The golf course was in great shape for mid November, in particular the greens which were running at 10 ½ on the stimp and pure!! Thanks to our hosts Jamie Baxter and Mike Smedsted of Mayfair Lakes GC for providing another Championship Golf Course for our players to sharpen their skills! Last Thursday, 33 Die-Hard golfers tee’d it up at Sandpiper Golf Resort for VGT’s Opening Winter Tour event. The day could not have been more glorious for Nov.3rd, with the sun shining all day and the golf course in just great shape for this time of year! Thanks to our hosts Ted Swaine and owner Betty-Ann Falkner for providing a wonderful place for our players to play! Congratulations to our Opening Winter Tour event winner Brett Webster of Abbotsford, who fired a great round of 68 (-4) and took home the title by one shot over Victoria Professional Cory Renfrew. On the amateur side of the tournament, it was Jesse Ostrowsky of the Sunshine Coast who prevailed in the Championship Flight with a gross score of 74 (+2), a 3 shot victory over Ethan Min. In Flight A, Richard Fife and Kevin Griffin tied with a Low Net score of 74. And in Flight B, our resident Insurance Sponsor, Dave Ebner of Johnston Meier Insurance claimed Low Net Honours with a net 69, which included a natural eagle on #13! !